Still slaving away at getting the first design finished. 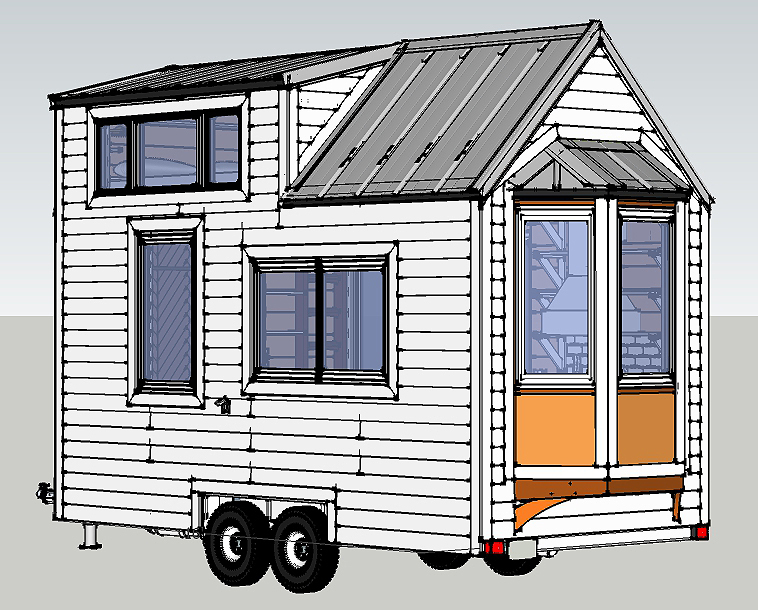 It will be built on a 16 ft trailer. Check out the attached pic for a teaser! For those that are not aware, I work full time at a day job with the Corps of Engineers managing energy surveys, and A-E projects. 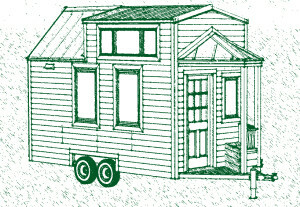 This means that for the time being, Ridge Runner Tiny Homes gets my attention nights and weekends, at least until it takes off enough for me to quit the job and pursue the dream. 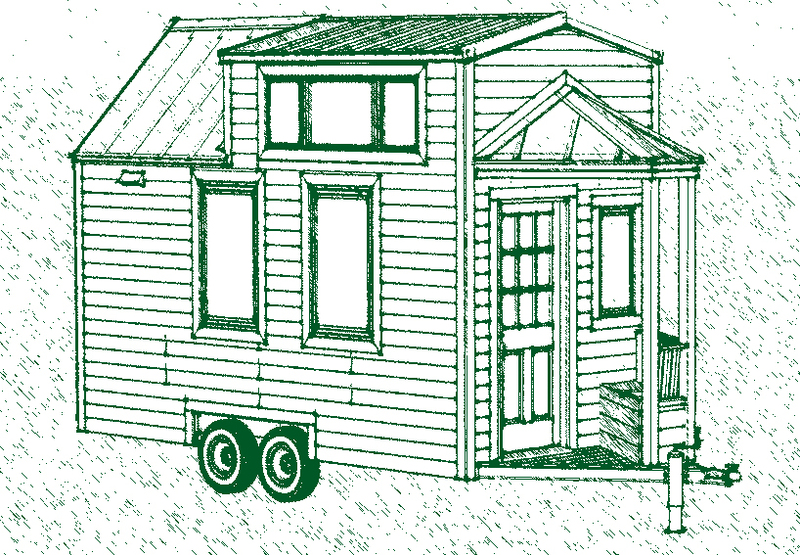 I am also somewhat restricted in that, being a licensed architect, I am fully aware of all of the different systems involved in a tiny home, and the proper design of these, as well as how they interact with one another. I could knock out a quick sketch in an evening, and a shell plan in a day or two, (and in the future I will offer shell plans for those that want them) but at least with this first design, It will be developed fully to include framing, electrical, plumbing, gas systems, and finishes. In short, I will have thought through all of the aspects of the design and worked out the kinks. This is because I plan to use this same set of plans to build my first one, and electrons are cheaper than lumber, screws, roofing, and the like when it comes to fixing mistakes! Anyways, keep an eye out on this space, as once the design is ready, the website will be launched so that plans will be available for purchase here. Hi! I was wondering if you were still building tiny houses. If so, I would like to know where you are located. The sketch at the top of this page is very cute! Thanks!